From the beautifully landscaped grounds to lavish apartments, Fountaine Bleau emanates luxury from the moment you arrive. 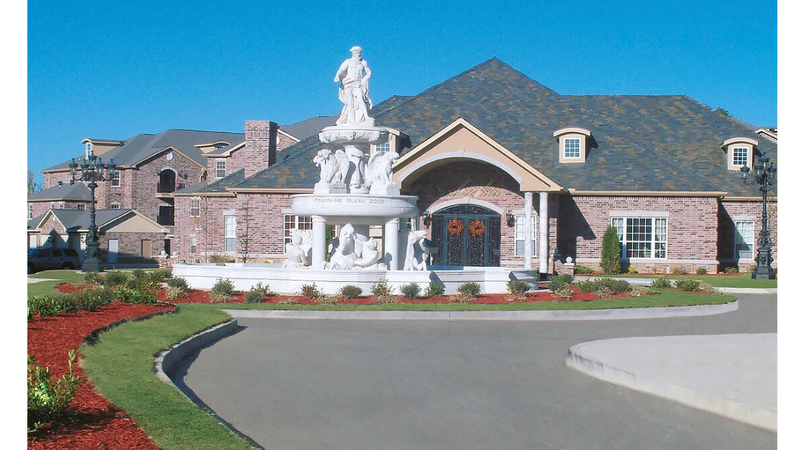 A gated entrance leads to a hand-carved, marble fountain. 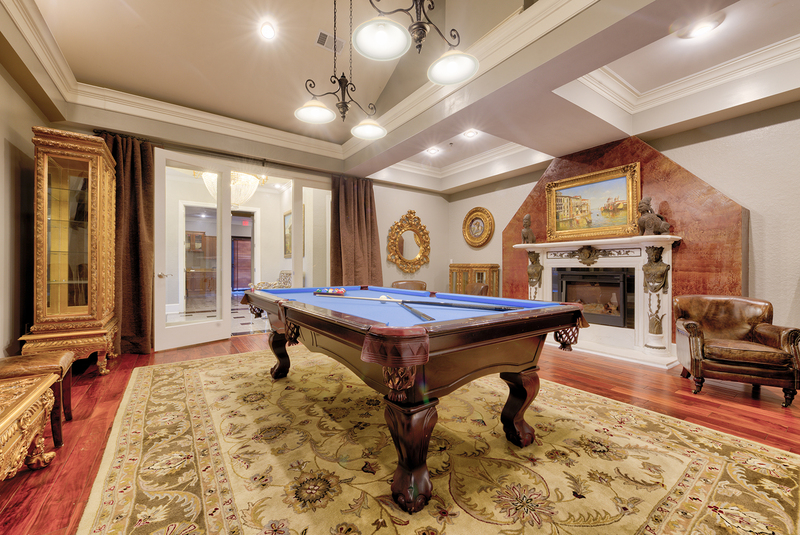 Inside the office, you’ll find a stunning clubhouse complete with a karaoke stage, Internet café, and game room. 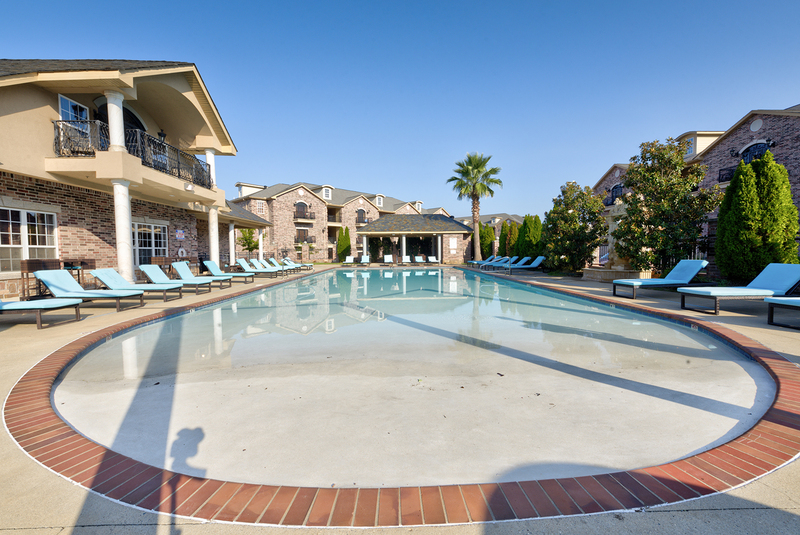 Our tanning studio and resort-style swimming pools will have you feeling as though you are living at a vacation resort, while our fitness centers will inspire you. All of this before you even peek inside your new apartment home, which welcomes you with granite tile, a gourmet kitchen with granite countertops, and a private balcony. We also offer corporate suites available. Movie Theatre: You’ve never watched a movie like this before! Fountaine Bleau’s movie theater features a movie-theater-quality sound system and blue ray/DVD player, cable access for sports events, and leather massage recliners – watching a movie has never been so comfortable! 2 Fitness Centers: Fountaine Bleau features a one-of-a-kind fitness center you have to see! Our fitness center has 20 individual stations, weight machines, free weights, and dumbbells that will inspire you to new fitness heights. We also offer five pieces of cardio equipment, two spin bikes, and 17″ built-in televisions. Tanning Salon: The Fountaine Bleau tanning salon features a stand-up booth and a lay-down bed. Whether you choose to enjoy the 160-watt Heartland Tan “Sundazzler” or the exclusive Ergoline “Advantage” 400, you can enjoy a year-round tan when you live at Fountaine Bleau!